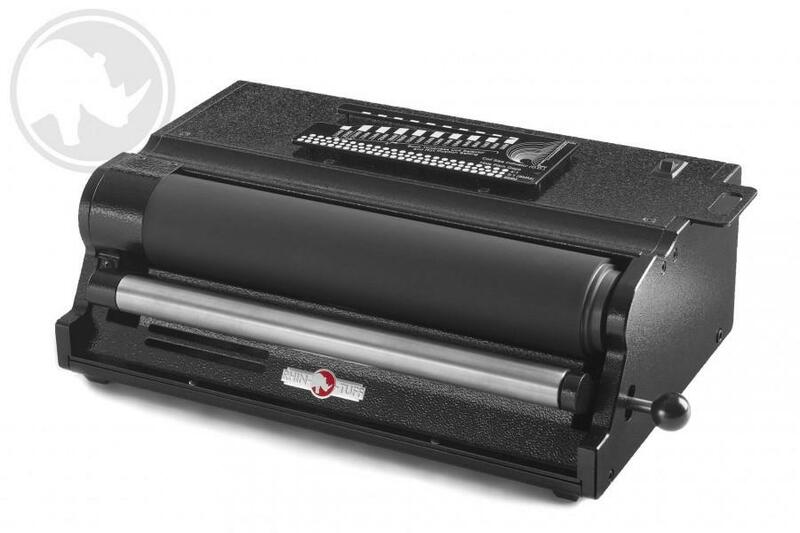 The HD4170 “Rhin-O-Roll” Coil Inserter Module has 12-inch dual powered rollers with an adjustable lower roller for high performance and easier more accurate coil insertion. It has gauges to measure document thickness and coil sizing. An essential piece of binder equipment, the HD4170 coil binding system can be used as a stand-alone production coil inserter or it can be attached to any vertical OD or HD Series binder equipment (optional mounting kit available). Designed for fast coil insertion for all pitches and diameters. All HD4170 comb, wire and spiral coil binding systems come with crimper pliers and a built-in holder.